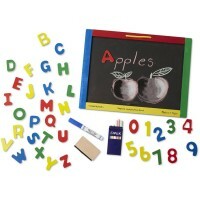 Watch as your preschooler's counting skills multiply when they play with this educational and enjoyable set of large magnetic numbers! 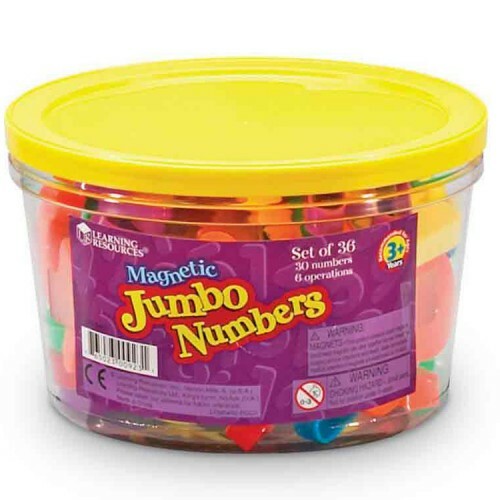 The Jumbo Magnetic Numbers Set of 36 is sure to make a great addition to any home or classroom! 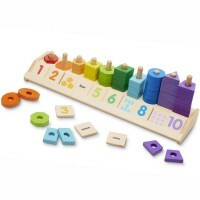 Watch as your preschooler's counting skills multiply when they play with this educational and enjoyable set of large magnetic numbers! 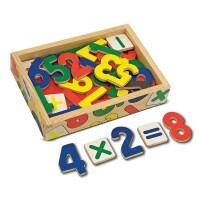 Created by well known, acclaimed toy manufacturing company, Learning Resources, this set of colorful plastic numbers is sure to draw attention of any mathematics loving child, and will even convince the most hesitant preschooler that math can be both educational and entertaining! 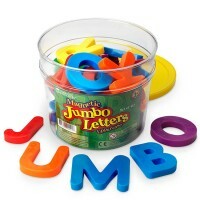 Packaged in a reusable, plastic storage container, the Jumbo Magnetic Numbers Set of 36 consists of 36 refrigerator or classroom ready magnetic numbers, in various colors that are sure to attract your preschooler's concentration. 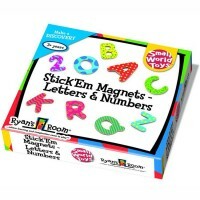 Add, Subtract, Multiply, Divide, and stick these magnetic numbers for an all around great time! 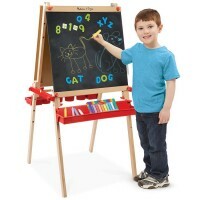 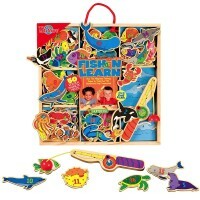 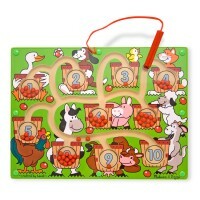 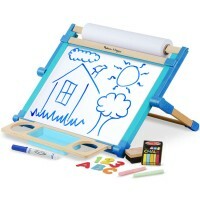 To sum it up, this magnetic number kit from Toys Planet is a great gift for any home or school! 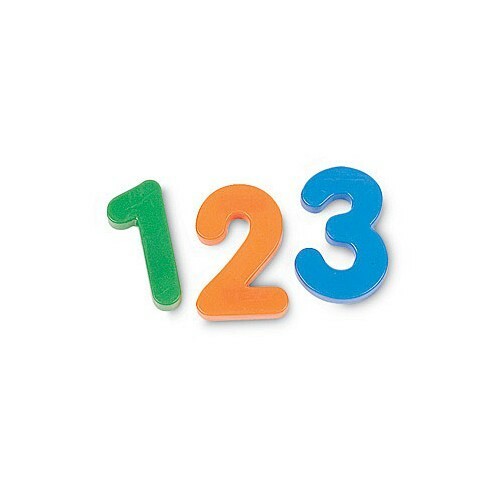 Magnetic numbers measure 2.5 inches tall. 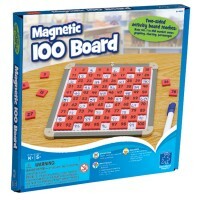 Dimensions of package 0.06" x 0.06" x 0.05"
Write your own review of Jumbo Magnetic Numbers Set of 36.